Komarno or Komarne [Комарно або Комарне]. Map: IV-4. Town (2011 pop 3,884) in the raion of Horodok (Lviv region). It arose in the 12th–13th century. In 1473 the town was granted the rights of Magdeburg law and a castle was built. 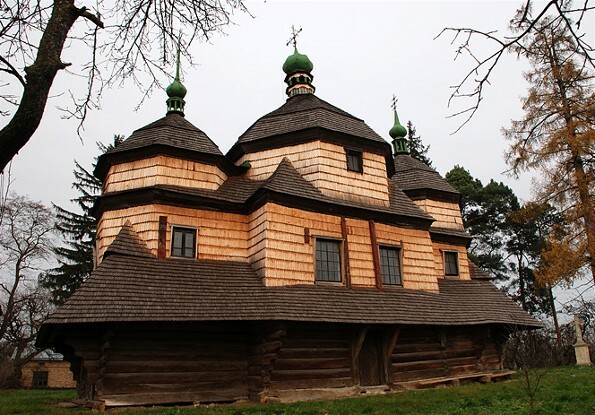 An Orthodox brotherhood was established there in 1592. In the 19th century it was an important crafts (particularly weaving) and trading center in Galicia. From 1939 to 1959 it was a raion center. Komarne's main industries are natural-gas extraction and processing, food processing, tree farming, woodworking, and fish farming. 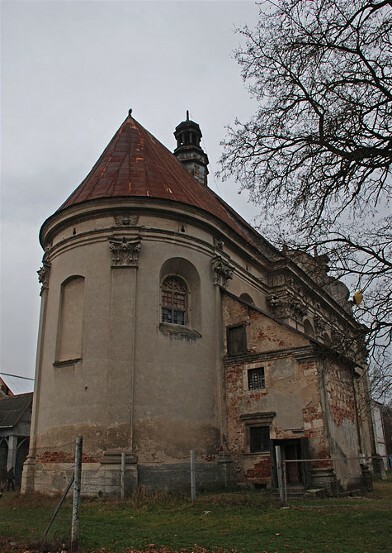 Its oldest architectural monuments are a Roman Catholic Church of the Theotokos (built in 1473 and reconstructed in 1657) and the wooden Saint Michael's Church (built in 1754 and decorated with frescoes).